Welcome to the official website of the Ruritan’s Rapidan District! This website is a resource for useful information about Ruritan to Ruritans and the general public. 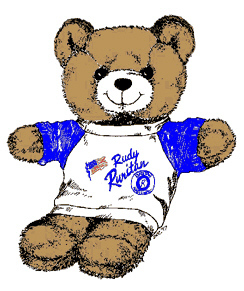 Ruritan is a National Community Service Club. There are forty-two districts in Ruritan National. 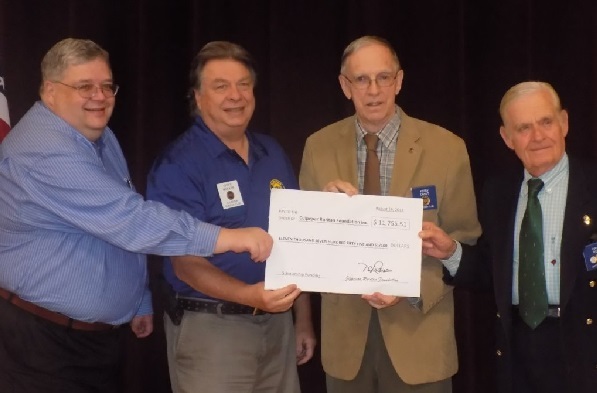 At its October meeting, the Jefferson Ruritan Club donated the sum of $11,755.51 to the Culpeper Ruritan Foundation for the purpose of awarding scholarships to Culpeper Co. students for higher education. This is a result of the Jefferson Ruritan Foundation terminating its scholarship activity in Jefferson Magisterial District and this will now be subsumed by the Culpeper Ruritan Foundation. The Jefferson Ruritan Club has granted over $30,000 in scholarships to the local community since 1982. The Jefferson Ruritan Club meets at 6:30pm on the 3rd Tues. of each month at the Jeffersonton Baptist Fellowship Hall. 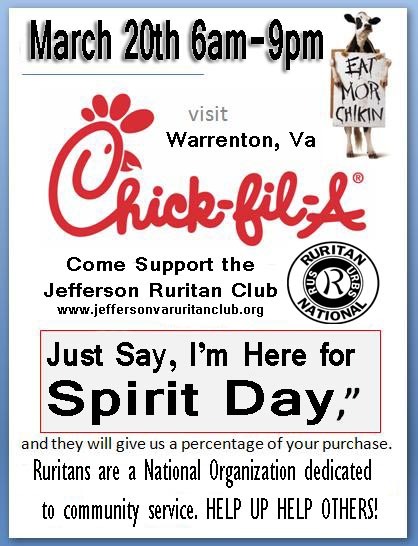 The Jefferson VA Ruritan Club will hold a Spirit Night March 20, 2018. The event will be from 6am to 9pm at the Chick-Fil-A in Warrenton, VA. 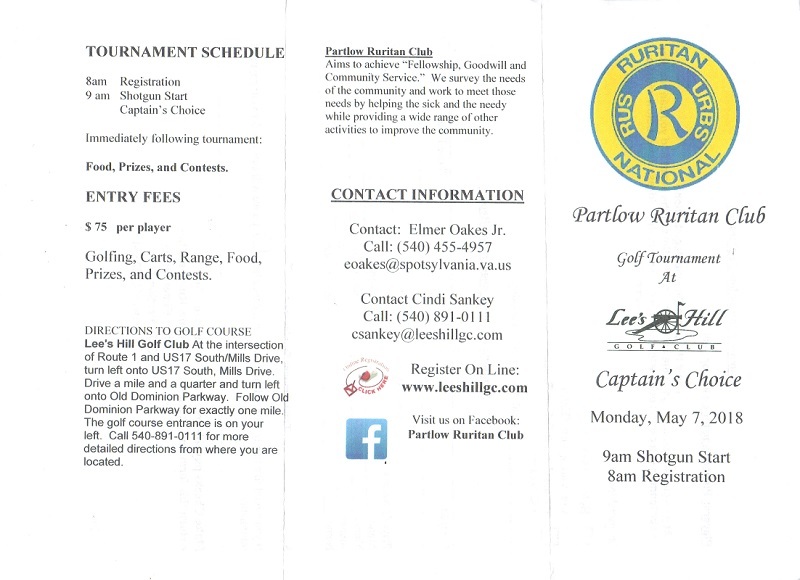 The event is to raise money and promote awareness for the Jefferson Ruritan Club. 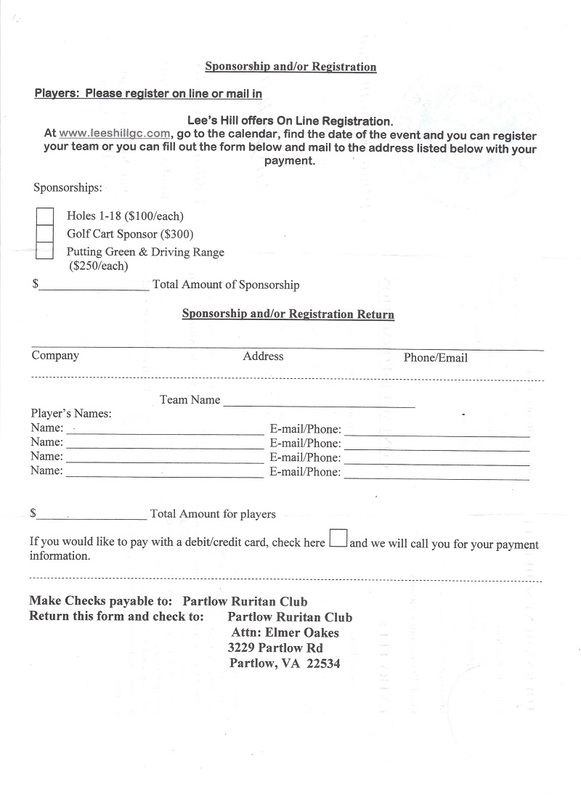 The Partlow Ruritan Club will hold a Golf Tournament Monday, May 7, 2018 at the Lee’s Hill Golf Club in Leesburg as a fundraising event. 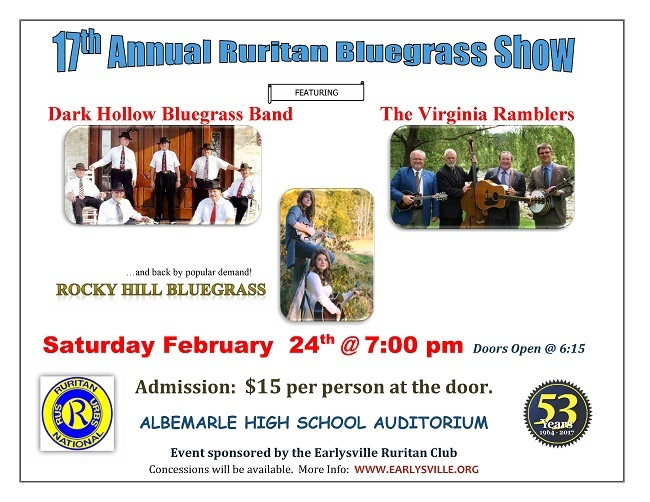 The Earlysville Ruritan Club is pleased to continue hosting this popular Bluegrass Show. Now in it’s 17th year, this show has been a mainstay event of the Earlysville Ruritan Club. More information available on our events calendar!